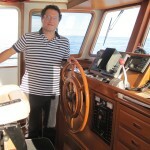 This is Captain Paul Foer “From The Foerfront” with more tips to help you safely and more easily enjoy your boating. Let’s suppose you are worried or nervous about doing some damage when docking, or leaving a slip, entering a marina etc. Okay, but what’s the big deal?? 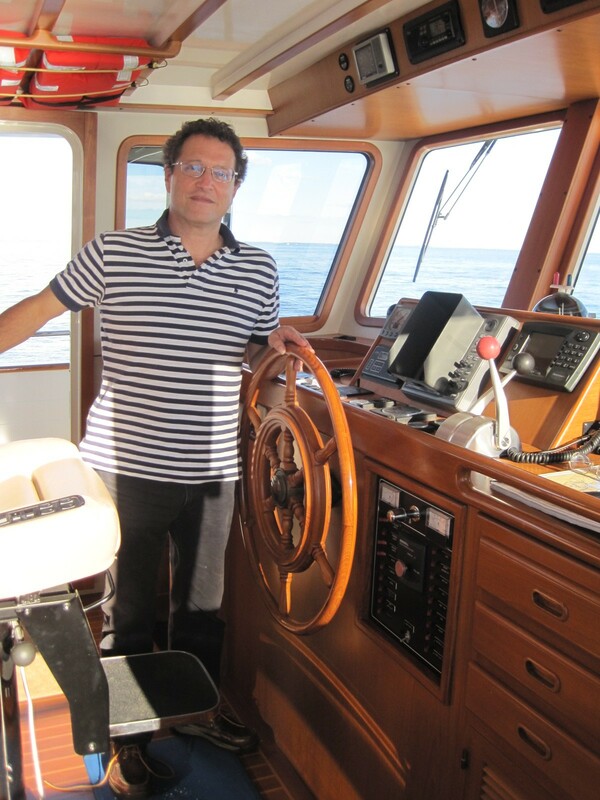 I ask this as a professional boat captain and boating coach who has docked power and sail boats, big and small, single and twin screw, with and without bowthrusters….thousands of times. What’s the big deal? Sure, you’re probably thinking “Well this guy thinks it’s no big deal because he’s done it so much…..” and you’d only be partially correct. Of course I understand that docking is a challenge for many, especially newer boat operators, and even for professionals such as myself in certain situations, but in most boats, in most situations, in most slips, at most times when you are boating, I again ask what’s the big deal? I too had to learn and I recall a few incidents as an inexperienced boater which were worrisome, difficult and unnerving, but I survived and I never wrecked a boat. And neither will you, but you might have some scrapes and scratches. New clients often believe that docking skills are primary, and are more important than any other aspect of seamanship and boathandling. This puzzles me, because there are more hazards present and more skills needed to do so many other things on a boat. Therefore, I use the analogy of learning to drive a car. My driving teacher was adamant that simple manipulation was the easiest, and lowest level of the collision-free driving pyramid, as he described it. Driving in traffic, at high speeds and with other moving vehicles takes more skills. I think the same applies for boating—and docking, that is to say when you are moving around other moving boats, there are more things to observe and to manage. When you are parking a car or docking a boat, you are, or certainly should be going slowly as will other boats in the marina or boatyard, and so, if you collide, it is likely to be with a slow-moving, or more likely, a stationary object–that may even give way a bit, so what are you likely to damage or otherwise result in doing? Your boat may suffer a minor scrape, a damaged rubrail (that is what it is for), a little paint-mixing and maybe, just maybe a repair job bill or an insurance claim, in extreme examples. That is of course unless you are going too fast or someone’s arm or leg got in the way and acted as a fender. You must consider that when a boat hits a pier or another solid or semi-solid object, the boat does not scream out in pain, bleed all over the place, threaten to sue you or insist on being taken to the emergency room. The boat can always take more than the crew—in just about every situation. In my next edition of “From The Foerfront” I will describe the “rules” which you can apply to help you in all docking situations. Meanwhile, if you need help with any aspect of boat handling, seamanship, or are thinking about purchasing a boat, please contact me, Captain Paul Foer at paul@www.nonseaquitter.com or visit www.foerfront.com.